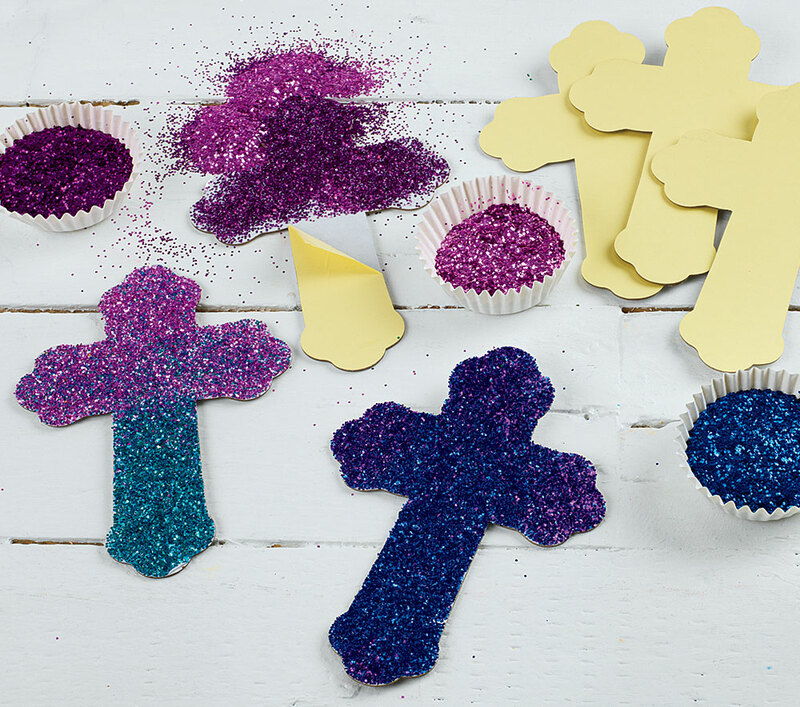 This shimmery activity celebrates Easter by having children decorate dazzling crosses symbolizing the resurrection of Jesus on Easter Sunday. Teach children about the importance and symbolism of the cross as they express their own creativity. Save yourself some of the hassle of cleaning by covering your workspace with paper to catch stray glitter, gems and rhinestones. Activity trays can also help keep messes confined. This activity is easy to get started, requiring just a few essential materials. You'll need to gather sticky cross boards, glitter, gems, small beads, rhinestones and any other collage materials that you'd like to adhere to your sticky crosses. Distribute the self-adhesive crosses to the children. As you distribute the crosses, have them carefully remove the paper covering to reveal the self-adhesive portion. 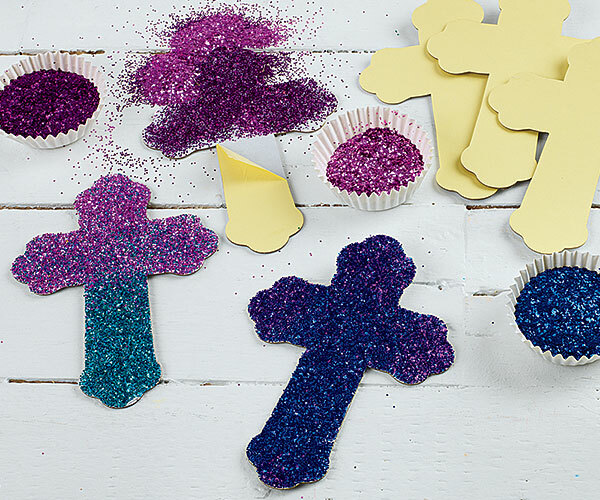 To fully fill your cross with glitter, pour glitter onto the sticky surface and dump off any excess. 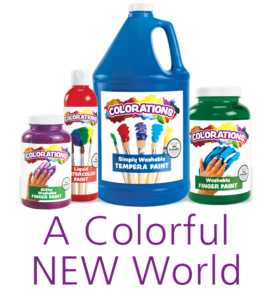 You may repeat with multiple colors or leave some parts unfilled to add other materials. For an even more dazzling display, add gems and rhinestones to your cross. If the self-adhesive portion of the cross is completely covered in glitter, you may need to add a small amount of glue. Our sticky cross boards come 24 to a pack, so there's no reason to create only one! Repeat the steps above to experiment with different materials and designs on additional crosses. Speak with the children about the significance of the cross in Christianity, especially as it pertains to the celebration of Easter. While Jesus may have died on the cross, the Easter season celebrates his resurrection and the cross becomes a symbol of his great love. In addition to glitter and gems, you might also use torn pieces of tissue paper, construction paper, pom-poms or any other materials to stick to your cross. Encourage creative experimentation with various materials. Continue celebrating the cross by making cross-themed resist art! Place a paper or wooden cross onto a canvas, then spray Liquid Watercolor in spring colors all over. Remove the cross to reveal your unique artwork!